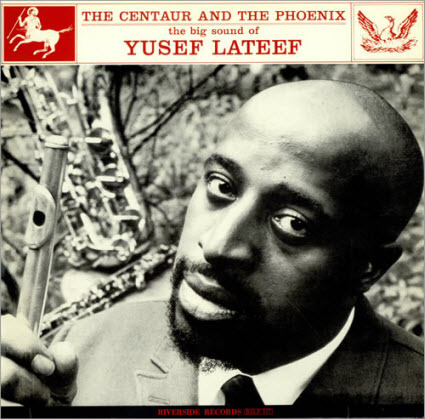 Under-appreciated, as the description below says, can only be a starting point in order to begin to rectify Yusef Lateef’s achievements. He could be the most overshadowed jazz musician in the hard bop era and in the history of jazz. 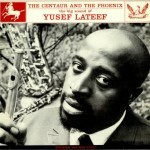 The Jazz Con Class Radio listeners should seriously consider purchasing his music and should begin with this 1960 album “The Centaur And The Phoenix.” They should look back to 1957 where he recorded his first album as a leader. He is still alive (Age 93) and actually recorded an album in 2012. 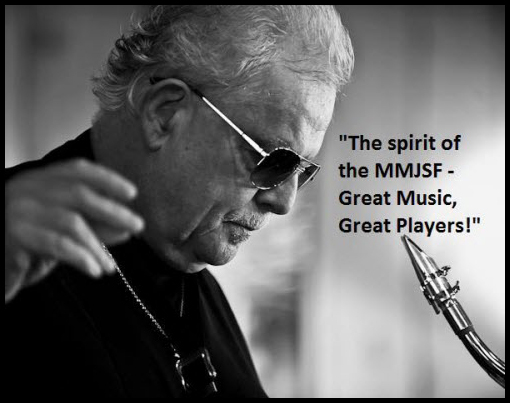 Although he received his due in 2010 from the NEA Jazz Masters, jazz fans should take a closer look at his astonishing career and take special note of his innovations. 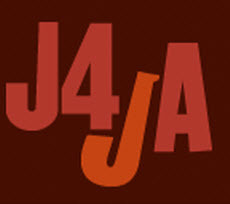 This is a sort of reminder of the ongoing jazz presentations that are reinvented every week by yours truly. It’s a painstaking process of matching songs in a thematic/mood changing manner, not very easy task but an absolutely satisfactory experience. Both of these presentations/specials play on their respected days, Tuesdays and Wednesdays and are a permanent fixture on their respected schedules. 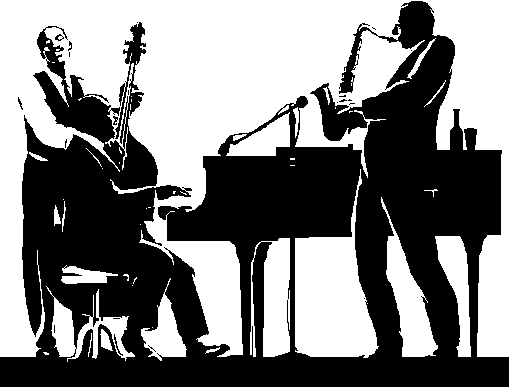 The “Super Tuesday Jazz Presentation” plays three times on every Tuesday. That’s from 3AM to 6AM, from 11AM to 2PM and from 7PM to 10PM (All Times are New York EDT). 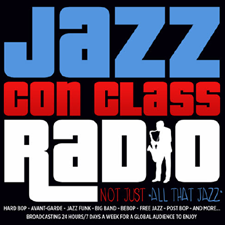 I also welcome anyone interested in having their own three-hour Jazz presentation placed here on Jazz Con Class. 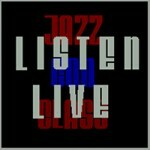 If you can put together at least three hours of Classic/Traditional jazz together, please let me know on the feedback link and we will work it out together. Unlike the Tuesday presentation, the “Wednesday Five Hour Special” plays only once throughout the day and from 2PM to 7PM (New York EDT). 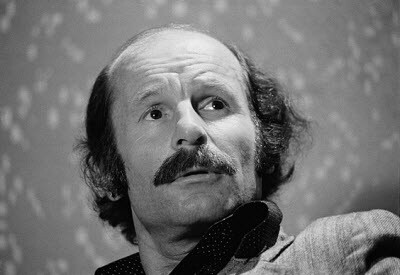 Joe Zawinul was a little known jazz pianist who entered America in early 1959 with a scholarship to Berklee in Boston and before the end of the year he had recorded his debut album, “To You with Love.” Cannonball Adderley immediately recognized his talent and took him in, they recorded 22 albums altogether. 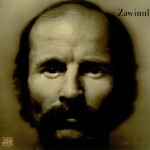 Zawinul recorded full time with Cannonball and part time from 1966 on. This 1971 album “Zawinul” was his 3rd as a leader and where he began to take a new direction. Great album, very spiritually soothing to the mind. His musical talent was apparent at an early age, and after his grandfather gave him an accordion, young Josef was often called upon to perform at family gatherings. At the age of seven, Joe was selected for enrollment in the prestigious Vienna Conservatory, where he studied classical piano, clarinet and violin. In the later stages of World War II, Vienna came under heavy Allied bombardment, and Josef and 28 of his conservatory classmates were evacuated to a large estate in the Czech Sudetenland, where he continued his studies while being forced to endure a regimented life that included war training under the direction of injured German SS officers. It was there that Josef heard jazz for the first time when a fellow student performed an impromptu version “Honeysuckle Rose” on the piano one evening. After the war, Josef returned to Vienna and continued classical piano training while earning money by playing accordion in small combos. During the post-war years, Vienna was occupied by the Allied powers, and Joe began performing at clubs on American military bases, where his lifelong fascination with sound was spurred by access to a Hammond organ. In the fifties, Zawinul led his own groups and played in a series of increasingly high-profile Austrian bands, including the Austrian All Stars—the first bona fide Austrian jazz combo—and the Fatty George band. Yet, as his standing in the Austrian music scene rose, America beckoned to him. His contact with American culture via the military bases, American Armed Forces Radio, and the movies had whetted his appetite. But even more, he knew that he could only go so far as a jazz musician in Austria. 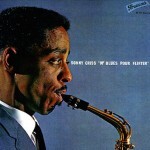 Oh Sonny Criss, he can sure play that sax and sure could makes it look simple. This album is a Brunswick Records production, a historical American company that built their first phonograph in 1916 (more info below in description). This 1963 album, “Mr. Blues Pour Flirter” is loaded with standards and the Sonny Criss breezing right through with impeccable precision, great stuff! 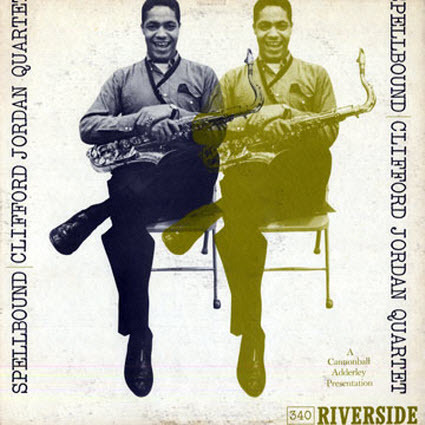 As the description below of this 1960 album explains, the ability of Clifford Jordan is little known and his impact on hard bop has been overshadowed by others who simply were publicized more. His fellow musicians believed in him and recognized his talent, that’s why Cannonball Adderley took it upon himself to produce this album. 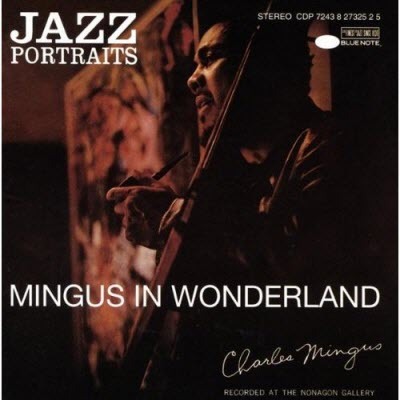 Charles Mingus also made sure to have Clifford Jordan featured in his recordings and took him along whenever he would tour. “Spellbound” is a great example of straight forward Hard Bop, simple and effective jazz by a simple quartet. 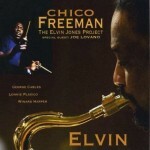 Excellent album, get it and listen to one of the best ever tenor saxophone player in action. 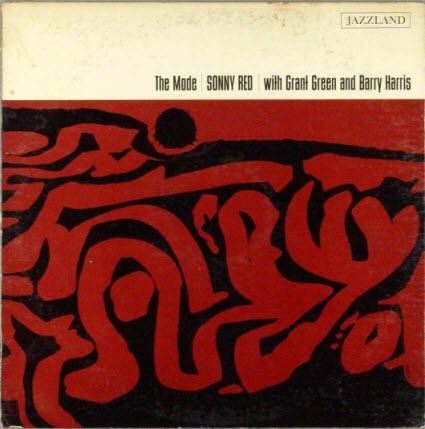 Sonny Red was right there with the new modal sound produced in the late 50’s but was overshadowed by the likes of Dexter Gordon, Jackie McLean and several others. Sonny managed to record 7 albums as a leader until 1962. 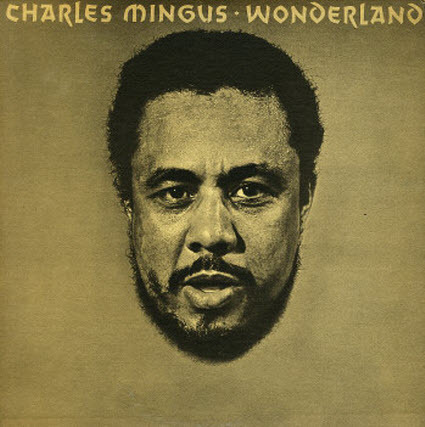 He made numerous albums with others in the late 50’s but only one after 1962 and then came back strong in 67, when he accompanied Donald Byrd with several significant Jazz-Funk albums (“Mustang!”, “Slow Drag,” “Blackjack” and “The Creeper”). “The Mode” is a great example of his ability to play with the best of them. Grant Green joins him on guitar to make it more interesting. Great album, enjoy! The jazz gospel that was preached by Charlie Parker was deep and wide enough to have influenced legions of musicians. 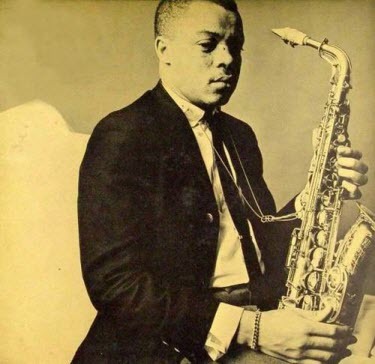 Sonny Red was born in Detroit, Michigan on December 17, 1932, and as an alto sax player he learned much from Parker, though like many he went on to form his own voice on the instrument during the course of his sadly brief career. His first professional gig was with pianist Barry Harris, a fellow native of Detroit, in the late 1940s. 1954 found him working with both the trombonist Frank Rosolino, with whom he played tenor sax, and Art Blakey. 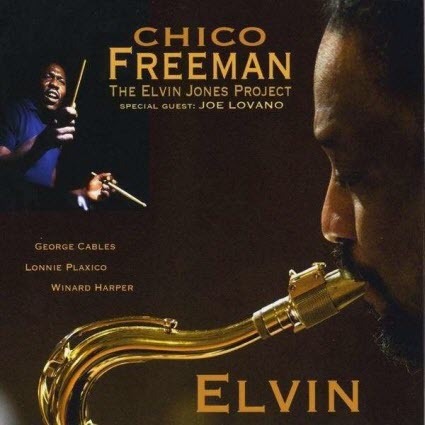 Three years later he worked in New York with the trombonist Curtis Fuller, and recorded with him at that time. 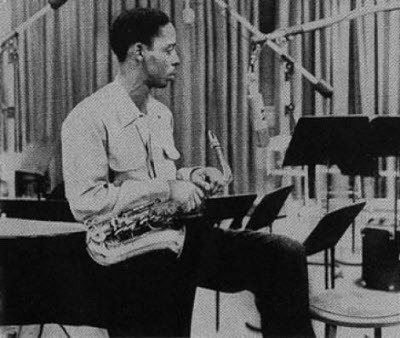 Always a fluent soloist, Red succeeded in making a name for himself as a sideman, and in the late 1950s and early 1960s he built upon that reputation with albums under his own name for the Blue Note and Jazzland labels, for the latter of whom he recorded on more than one occasion. 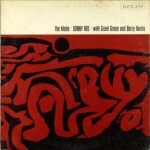 Barry Harris and Cedar Walton split the piano duties on the LP The Mode, with Harris playing throughout the Images album, which proved to be Red’s last for the label. 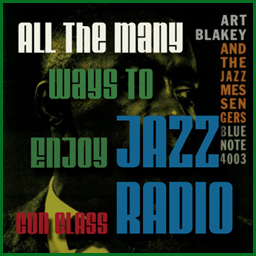 These albums find him mining Parker’s rich musical seam, whilst at the same time establishing his own instrumental voice, helped in no small part by a feeling for the blues which escaped many of his higher profile contemporaries. This and a certain languor in his phrasing kept his playing at some distance from the more incendiary approach of the likes of Cannonball Adderley and Sonny Criss. 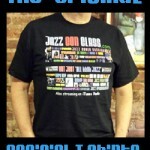 “The Original” Jazz Con Class Radio T-Shirt is available now! 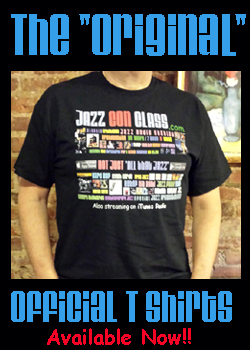 The very first Jazz Con Class Radio T-Shirt is available now! I named it “The Original” and rightly so. I tried different designs and arrived to this one. 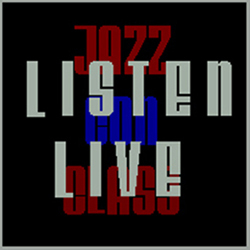 It signifies and clearly illustrates all that this Classic/Traditional Jazz Station has to offer. The image in the front of the t-shirt is very clear and will not fade away. I washed mine 5 times already and it still looks like new. The price is very affordable and is available in the USA (including Hawaii and Alaska) and Internationally. Learn more about the “The Original” here and order before they go out of stock, enjoy! 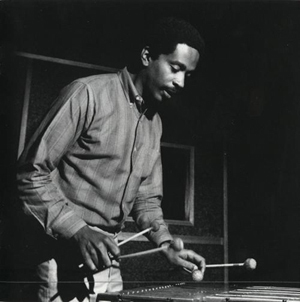 Bobby Hutcherson, the vibraphone extraordinaire and credited for his great ability of being able to make this instrument work in a “free jazz” environment. He was always inventive and right there in the middle of the mid 60’s avant-garde moment. 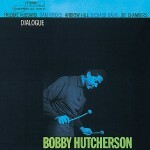 In this 1965 album “Dialogue” he is joined by Freddie Hubbard, Andrew Hill, Sam Rivers, Richard Davis (Double Bass) and Joe Chambers(Drums). A great collection of innovators making history as they record. 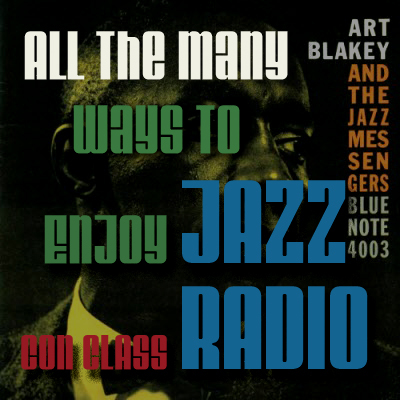 Just another classic album that everyone should own and can be listened to here on Jazz Con Class Radio, enjoy! Bobby Hutcherson (vibraphone, marimba) was born January 27, 1941 in Los Angeles, California. 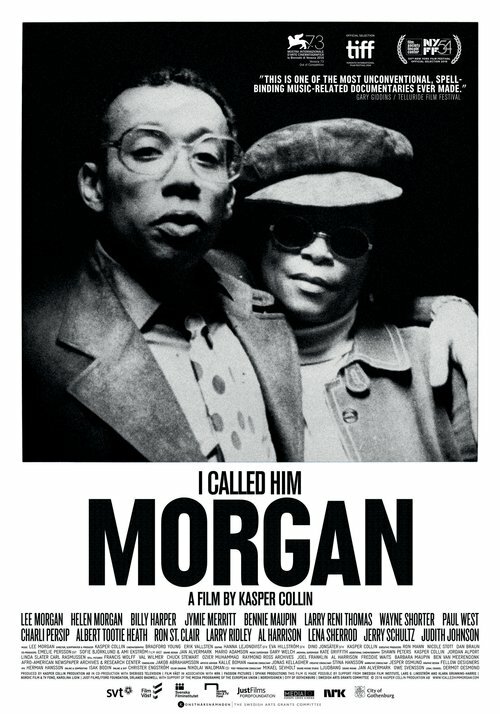 He studied piano with his aunt as a child, but didn’t enjoy the formality of the training; still, he tinkered with it on his own, especially since his family was already connected to jazz: His brother was a high school friend of Dexter Gordon and his sister was a singer who later dated Eric Dolphy. 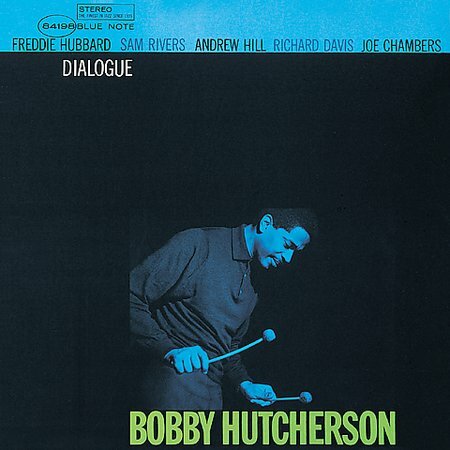 Everything clicked for Hutcherson during his teen years when he heard a Milt Jackson record; he worked until he saved up enough money to buy his own set of vibes. 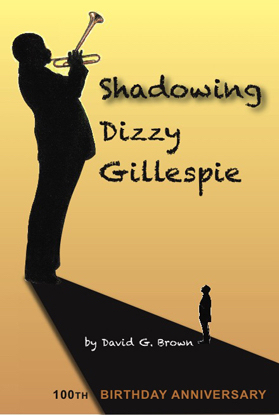 He studied informally with vibist Dave Pike, but, for the most part, he is self-taught on the instrument. Hutcherson’s own musical career began when started playing local dances with his friend, bassist Herbie Lewis. The stream has successfully updated to a new location. 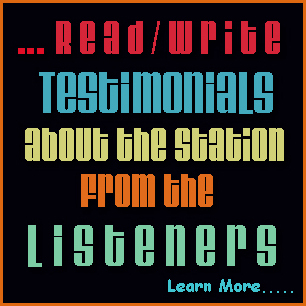 To listen just click on the “Listen Live” Box on the top of the blog, iTune Radio listeners can now hear the broadcast, no problem! Thank you for your patience. 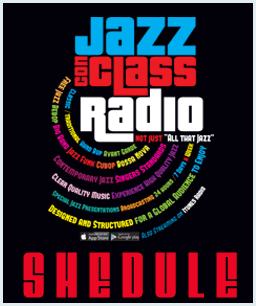 This is an important announcement for all the Jazz Con Class Radio listeners! My stream hosting company is changing the streaming server to an even better one. 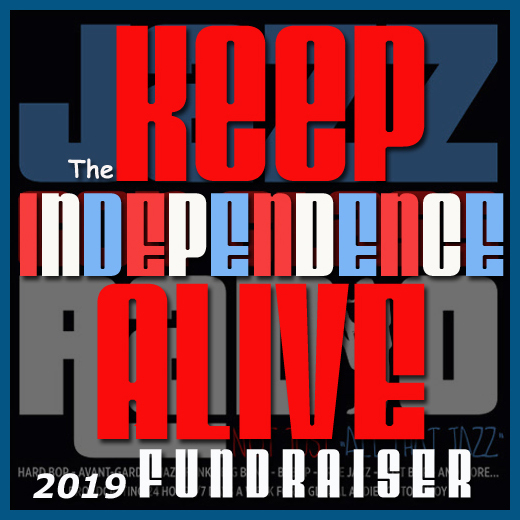 I have no control at all of this sudden and unexpected change but everyone will be able to listen to the stream by tuning in through the website here (The “Listen Live” Box) or through any other portal of their choice. This change will take place at Midnight tonight (New York time) and will be quick and smooth except for iTune Radio listeners. All iTunes Radio listeners will have to wait a few days if they want to listen on iTunes because Apple takes longer to make these changes. I’m sorry for the inconvenience and I will keep everyone up-to-date whenever any new changes occur. Thank you for your patience! If you are a fan of Avant-Garde and its mid 60’s explosion into notoriety, then this album is for you. 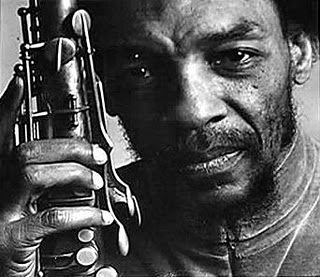 Sam Rivers was considered to be one of the best tenor saxophonists of his time by other jazz musicians but like many others he was spoken about. Most likely because his style leaned too much towards the “Free Jazz” side of the spectrum. This album “Contours” was appreciated more because it was recorded with Freddie Hubbard, Herbie Hancock, Ron Carter and Joe Chambers. It is an excellent Avant-Garde album with constant motion, there’s never a boring moment and very innovative. 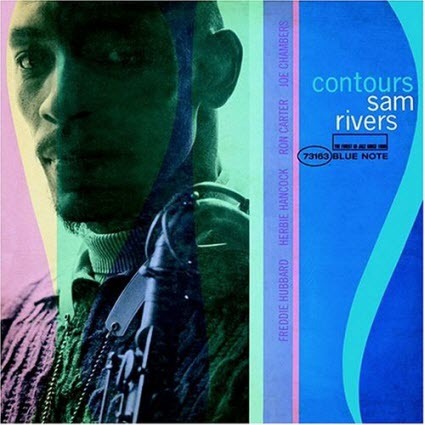 This 1965 album can be used as a perfect example of the direction jazz was heading to, adding more complexity in sound and veering somehow away from the Hard Bop style. 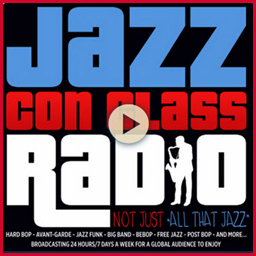 If you are a Hard Bop only listener, it would be a good thing to take a listen to this album, great stuff!